What are the objectives of your community project and what is the story behind its creation? My projects revolve around advocacy for sound governance and youth development. I have been very instrumental with my outfit in ensuring that public resources are adequately utilized. In this case, I have engaged young people in Uasin Gishu County, Trans Nzoia and Mt. Elgon on the need to further put our governments in check. I was motivated to join advocacy after realizing that very many individuals are uninformed about public resources including the manner in which the same resources are supposed to be utilized and for that reason public officers have always taken advantage of that. I approach the initiative both online and offline. Using advocacy tool kids, I train youth and women on how to engage respective governments, how to monitor budgets and how to see projects implementation to fruition. With the introduction of devolved functions, more corrupt officials were even decentralized making the need for advocacy around devolved governance more necessary. If people are to reap appropriately from their hard earned tax, then it is important that we engage these local governments. · Ensure higher enrolment and retention of about 1,000 – 5,000 girls and boys students in the areas of Kopsiro, Kapsokwony, Cheptais and Kaptama. · Enhanced involvement of the stakeholders such as teachers and parents for promoting quality education. · Follow-up and scaling-up of the proposed school model in other rural areas with a demand driven approach. I am also developing an online learning platform from where young people out of school from Mt. Elgon can share local resources with other young people from around the world through an online engagement. I am looking forward to a time when I can develop a fully-fledged Youth Resource center from where young people can gain access opportunities and skills that will better their lives. In Uasin Gishu County, I am engaging youth in learning institutions through debates and essays with the objective of broadening their world overview. Through this, we are able to get to know the gaps and how best o intervene with other programs like team building among others. This is my voluntary venture as there is no funding to support a programme that is scalable in the larger region. In which sector and with which groups do you work with? I work well in governance, advocacy and youth development. My work entails working with young people in learning institutions, young people out of school, young women and school going children. But more importantly, I mentor young people through an online platform, share resources and skills that can make them more realistic in their communities. There are many challenges that I face, from government opposition, lack of sufficient human resources to further develop youth development and advocacy work to the level required and in some instances also the lack of sufficient funding to sustain programmes is a challenge. Further, I lack strong global network to support my work locally. What type of partner are you looking for to overcome challenges in your initiative? I am looking for a partner that can support my advocacy and good governance work. But also, I am interested in a partner that can help in resource and information sharing. A partner that we can develop and implement projects jointly. A partner that can enhance my network to like minded organizations and institutions, but also a partner passionate about youth development, women empowerment and Advocacy on Health and education is key. The idea to be the change we want to see and been proactive in working with the community to change their story was developed from discussion on different experiences which we have gone through as young people in a Maasai community. The community has been marginalized for many years and in most cases viewed as defiant to change. With a unique/peculiar culture, the Maasai are often left out by successive governments in approaches to service delivery thinking that they (the Maasai) will equally pick up plans and policies as advanced by government. The approaches have failed to initiate development among the Maasai. While the government is well meaning in its intentions, it has not tailored its strategies and methods in the most effective way to have an impact in Maasailand. The government’s approach has mainly been top – bottom hence the need for homegrown interventions by Maasai themselves and more so the civil society. The objective is to initiate home grown solutions to challenges by build community capacity to respond to their concerns through education and building the economic power of women to be able to participate in governance. The project works with Maasai women and youth to improve their livelihood through economic empowerment, promotion of education and their rights to participate in democracy and governance.With economic empowerment we are training women on basic savings and investment and how to use the available resources like beads to earn. Women work in groups which create a social support system as well as pull resources together through savings for specific needs. Education promotion- main focus is on access to quality education and girl child education. In this we are working in partnership with OLE (open Learning exchange) from US on a pilot project in one of the villages using technology to create access to reading materials. During meetings conversations are created among women on their rights to property, health and governance. Some of the challenges faced in implementation include: Funds- as most of the is voluntary and through partnerships with organizations like FPFK (where I was employed) and Mara Discovery Center which helps in mobilizing and organizing women into groups. Funds for training and space for women to meet and work on their beads craft as well as sell there craft is a challenge. Market links for the crafts and linking them to international markets or local designers using African Jewelry is a challenge. We are looking for partners who will support in marketing the products or link to markets. In additional partners who will support in the economic training of women and education promotion among the Maasai. We also need partner that can help in constructing meeting shades for women that will act as shops for selling the products as well as create safe space for conversation on, women rights, democracy and governance. Polis Perspectives are weekly perspectives of our team on Polis-related topics. We also share our favourite articles and tweets. This week’s perspective is written by Isadora Loreto on Kristy Siegfried’s article “Refugee versus migrant: time for a new label?” IRIN, 15/6/2015. In her article “Refugee versus migrant: time for a new label?” Kristy Siegfried raises an essential question in the current debate on immigration: is it time to have a “rethink of our terminology”? Is it time to have “a terminology (…) that takes account of secondary movement and mixed motivations while still ensuring that international protection is safeguarded”? 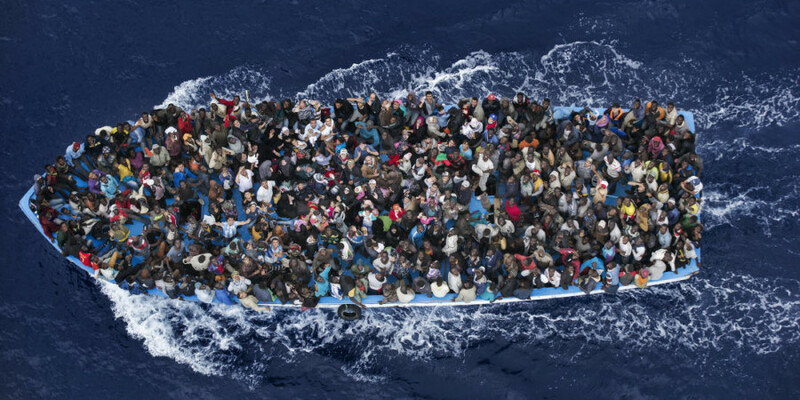 Since the beginning of the year, migrants are making the headlines of most newspapers while following the several shipwrecks in the Mediterranean Sea; European decision makers are holding several meetings to discuss a possible common solution to the problems posed by “illegal” migration. These past years, the Mediterranean Sea has become the most dangerous natural frontier, with almost 75% of migrants dying while trying to reach Europe. Most migrants that reach Europe ask for the refugee status because it is the only way they have to be recognised as “legal migrants”. When the status is not granted to them because they do not meet the strict criteria of the Geneva Convention, they become illegal migrants. In other words they become people with no rights, no identity and no future. Since 2011, close to 80% of asylum seekers have seen their requests for refugee status be refused in Europe. The time to “rethink of our terminology” has come. Instead of relying on “the myth of clearly distinguishable categories”, developing tools that correspond to the complex reality of migration is crucial. Polis Perspectives are weekly perspectives of our team on Polis-related topics. We also share our favourite articles and tweets. This week’s perspective is written by Stephanie Halksworth on Katja Iversen’s article ‘Dear G7, it’s time to put girls and women at the top of your agenda’ in The Guardian on 4/6/2015. ‘In times of crisis, women’s rights hang in the balance’ reports Katja Iversen in an article addressed ‘Dear G7, it’s time to put girls and women at the top of your agenda’. The Ebola outbreak served yet again as a disturbing revelation of the perils women face especially in times of crisis and instability. As gender-based violence and maternal deaths increased dramatically, the precarious nature of sexual and reproductive rights is all the more glaring. As Iversen highlights, even though G7 countries have had these issues on their agendas for a long time, there are still wider health gaps between men and women in all the world’s regions than a decade ago. Last year’s G7 Summit the health and rights of girls and women were prioritised as 21st and 40th out of 43 points. Too often women’s rights are considered to be separate from other development goals, and this perspective on gender issues is the crux of the matter. A strong and central position of women within development challenges is essential to achieve a whole range of stated goals. This important role of women in most underlying social dynamics means that without their influence and leadership a whole range of non-gender objectives tend to fail. This year’s G7 Summit has made a move in the right direction and has listed women’s economic empowerment as a top priority. Now governments must follow suit; prioritising the wellbeing and rights of women lead to healthy women and girls, which is fundamental for healthy, thriving communities. @SaraPantuliano: “This is not about replacing western NGOs with southern NGOs. It’s about changing how we work”. Spot on, @DeganAli! Last week Stanford Social Innovation Review discussed a debate within the 100% IMPACT Network about utilitarianism and impact investing, weighing the importance of intentions (echoing Immanuel Kant) against the importance of actual outcomes (echoing John Stuart Mill). Ideally impact funds do both, intentionally impacting society for good while also achieving a healthy return on investment. The reality is more complicated; finding assets that intentionally deliver true social impact and financial return are hard to find. In order to sieve out fake Samaritans and to promote utilitarian instruments, all sorts of standards and certifications have popped up. At the Polis we also believe that a focus on outcomes over intentions can help shift the balance in favor of the true do-gooders. But those who take utilitarianism seriously also know that impact is always in the eye of the beholder; it depends on who you ask . As soon as impact cannot be measured in monetary terms, which is typically the case with social impact, claiming utility becomes a moral minefield. Social impact standards seem to help by putting investors at easy, but they also kill the debate; they allow investors to engage in investments without actualy engaging themselves with local realities and asking themselves some fundamental questions: What is utility? How does one create the greatest happiness for the greatest numbers? And who gets to decide on what the correct answers are? Although standards are useful, These debates are essential and worth keeping alive. Recent market reforms and the increased importance of the internet are limiting the nation-state’s role as a source of belonging and material welfare for young men and women. Within this context, un(der)employed youth constitute a global precarious generation that is simultaneously freer to formulate its own goals and act upon them and increasingly limited by lacking opportunities and the need for financial security. This paradox becomes particularly apparent during empirical studies of young people in moments of rapid social change. On the one hand, possibilities seem unlimited in the global era, while on the other, there are fewer safety nets for young people to feel independent enough to pursue their preferred options. The total number of unemployed people in the world is estimated at 1.1 billion. At the height of the recent economic crisis, there are estimated youth unemployment rates of around 55% in countries such as Spain and Greece; around 25% in long developed nations such as France and the United Kingdom; and alarmingly high rates in many sub-Saharan African countries. Unemployment rates are also hard to estimate in countries where people work mostly in the informal economy, and they do not take into account people who are underemployed (part-time, intermittent or temporary work). Alcinda Honwana argues that young people around the world are in ‘waithood’, a period of suspension between youth and adulthood whereby un(der)employed youth are unable to become recognised fully fledged citizens (adults). They lack a steady and sufficient income that would allow them to become financially independent, get married and start a family. In many countries around the world, however, accessing adulthood is dependent on marriage and household formation. The New York Times recently produced a series of articles arguing that millennials are redefining adulthood because they lack economic opportunities and are disillusioned with the institution of marriage and the existing job market. Middle-class youth often prioritise daily leisure over long-term professional planning because they either lack stability or do not regard it highly. The most recent technological revolution has opened up the sphere of existing possibilities for un(der)employed youth. 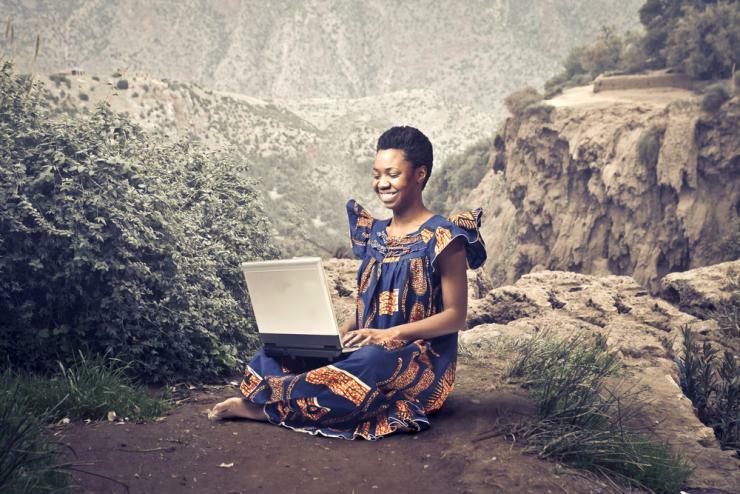 The internet facilitates access to capital, freelance opportunities, learning new skills and networking using dynamic tools such as MOOCs and social media. The long-term effect of these technological changes on the way societies conduct politics, learn and organise the economy will be significant, as online initiatives grow exponentially. Along with other forms of shared cultural consumption, they contribute to young people’s growing sense of awareness and existence within a wider world. Young men and women are now also freer to travel around the world. The sharp decline in transport costs have encouraged millions of un(der)employed youth to travel elsewhere in pursuit of jobs and exciting new lifestyles. They encounter new forms of social organisation and become accustomed to cultural diversity, providing new outlooks on their own lives. Travelling to new places also raises awareness about the existence of other un(der)employed youth who migrate for similar purposes, a sort of new ‘class consciousness’ in-the-making that can be observed on public squares, in local neighbourhoods, in workplaces and more. Meanwhile, neoliberal economic reforms such as reduction in public spending and emphasising labor flexibility have limited young people’s ability to become independent and plan ahead. Public sector jobs were once widely available in many European and African countries. They were guaranteed for life and enabled young men and women to have the material stability required to start planning their futures. Permanent contracts in the public and private sector are being progressively replaced by temporary or part-time work. Prevailing economic paradigms seek to optimise wage distribution through measures such as zero hour contracts and consultancies instead of long-term employment. Welfare benefits are also getting slashed in an attempt to create a more ‘responsible’ body of citizens, leaving few opportunities for young people to pursue personal projects and long-term professional ventures. In the absence of work, the flexible individual must constantly renew his or her skill set and obtain new experiences that can be sold on the job market. There is a large demand for qualified workers in the private sector that remains void, despite an increased focus of public and non-profit institutions on professional training. The ability to become flexible and more employable, however, is highly dependent on a person’s wealth, education and social network (although the internet is changing the latter two). Youth from poor or lower middle-class families are less capable to commit to learning skills because they often need immediate revenue streams. This precarious generation must focus on short-term strategies to live according to an acceptable standard of living. Many of them get by using creative tactics that allow them to assert their independence and compromise, despite a strong lack of opportunities. Walid, 31, speaks four languages and most recently lost his job in a hotel on the Tunisian coast. Despite wanting to work in a hotel again, he roams the streets of Tunis selling old cellular phones and finding tourists who can teach him about their country and language and give him some money. After completing her Law degree, Maria, 28, has spent the past five years away from her hometown of Barcelona where jobs have become scarce. She moves from one European country to another every few months looking for jobs in catering or cleaning, despite wanting to be a lawyer. While these cases may seem isolated, they both highlight a lack of long-term opportunities and the continuous negotiations between young people’s expectations and their actions to find work. The urgency of resolving youth unemployment cannot be understated. Many academic studies and policy-makers acknowledge the need to address this issue as a security threat to existing societal arrangements. This precarious generation feels increasingly alienated from political decision-making processes and economic opportunities, highlighted by low youth voter turnouts in new and old democracies alike. Un(der)employed youth are prominent in informal social movements such as the Occupy movement (often due to student debt), the Arab Spring (the symbol of Mohammed Bouazizi in Tunisia), uprisings all over Africa in 2010-2011, the 15-M movement in Spain, etc. Their marginalisation from the existing political and social order leads them to look for meaning in new creative ways; sometimes revolutionary, sometimes reactionary. Honwana argues that waithood is gradually replacing conventional adulthood. The issue of youth unemployment has become a pressing policy matter (EU 2020 Priorities) and its resolution will be of great significance to the maintenance of the existing social contract. While competition becomes fierce for the few existing jobs, young people’s enhanced sense of freedom will enable many of them to create new things in the shell of the old. We are living in a transition period where the new has yet to be defined, as possibilities seem endless but short-term economic opportunities remain scarce. But the global precarious generation is certainly not complacent; it is actively shaping its future society in immeasurable ways.